Yesterday Allie had a weight check with her GI doctor. 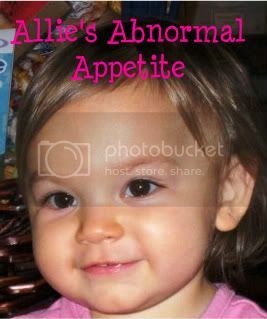 Allie has been tube free since since May except for the beginning of school when we had a slight set back and went back to tube feedings for a couple weeks. It has seemed like Allie has been eating pretty well so I wasn't nervous about this weight check, I was actually feeling pretty confident it was going to go good. However, I was wrong. Allie's last weight check was on 12/20/13 and she weighed 33.4 lbs. Yesterday (2/5/14) Allie weighed 32.6 lbs. She lost almost a whole pound. Not good.. I'm not sure yet what the doctor is going to say but I'm sure he will be calling. Praying we can continue to be tube free and he will give us more time to try and have her gain weight by eating orally (if that's possible). 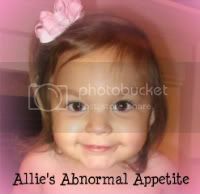 In any sense, in my eyes........this little girl is a sign of true beauty. Here she is this morning getting ready for school. 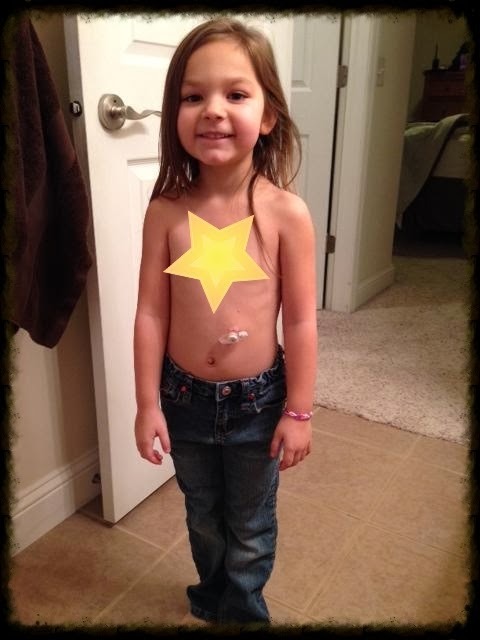 There was something about her standing in her jeans supporting her feeding tube, I just had to snap a picture. I'm so proud of this little peanut.